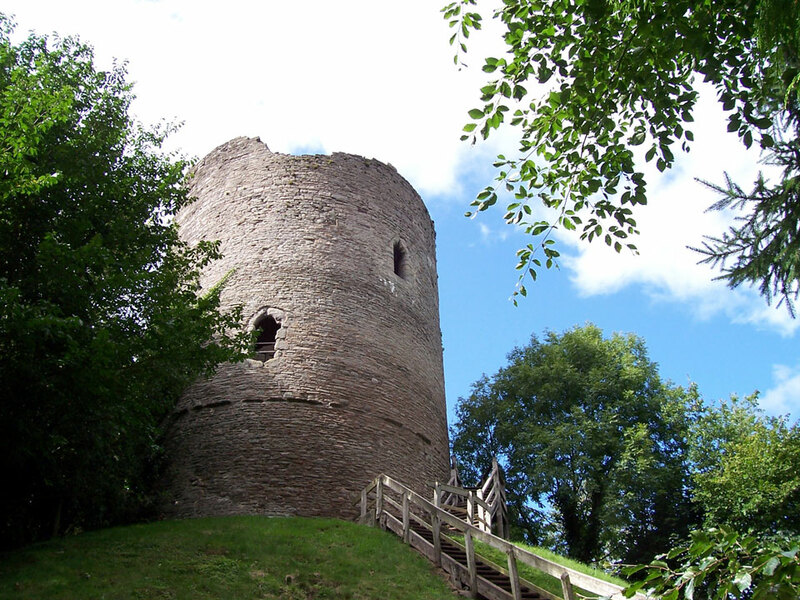 An early Norman castle from the 11th century with inner and outer baileys. 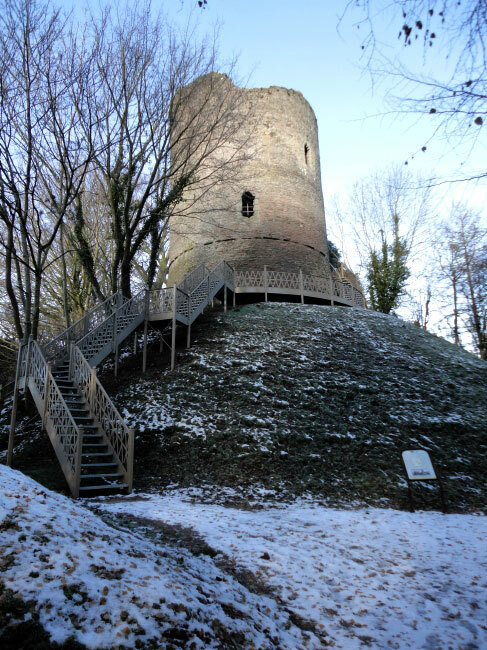 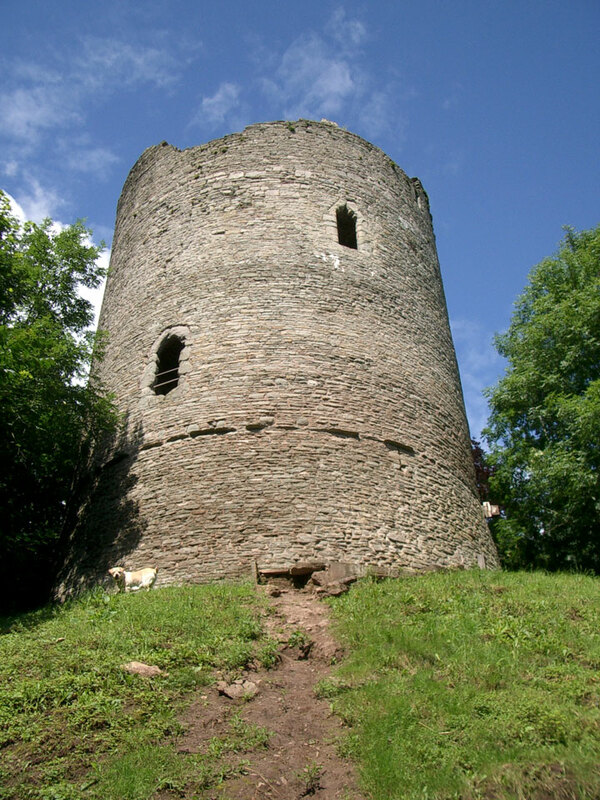 The fifty feet high 13th century round tower still remains on the motte, although the inner bailey curtain wall has vanished. 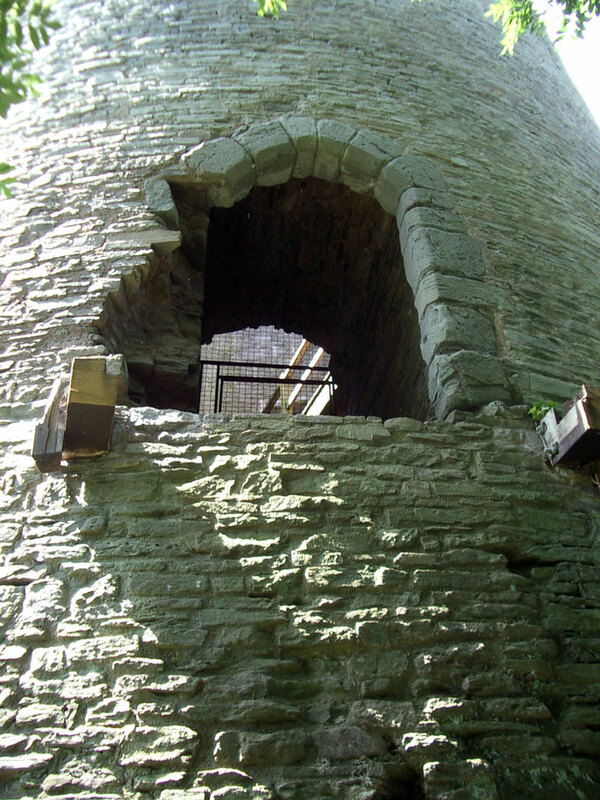 The entrance to the tower is on the first floor. 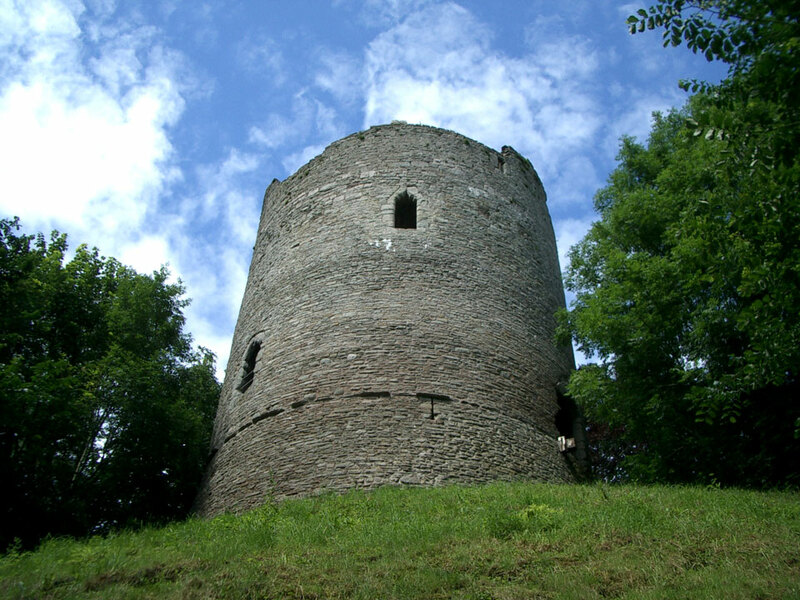 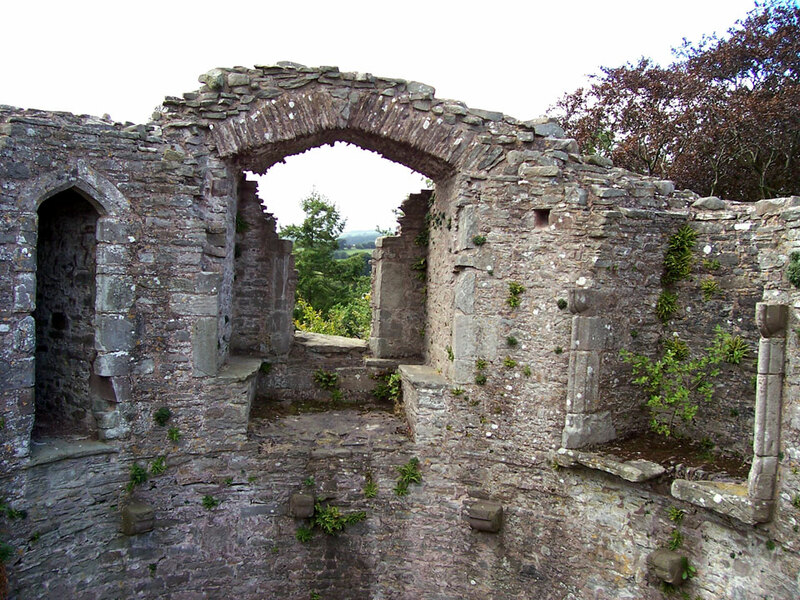 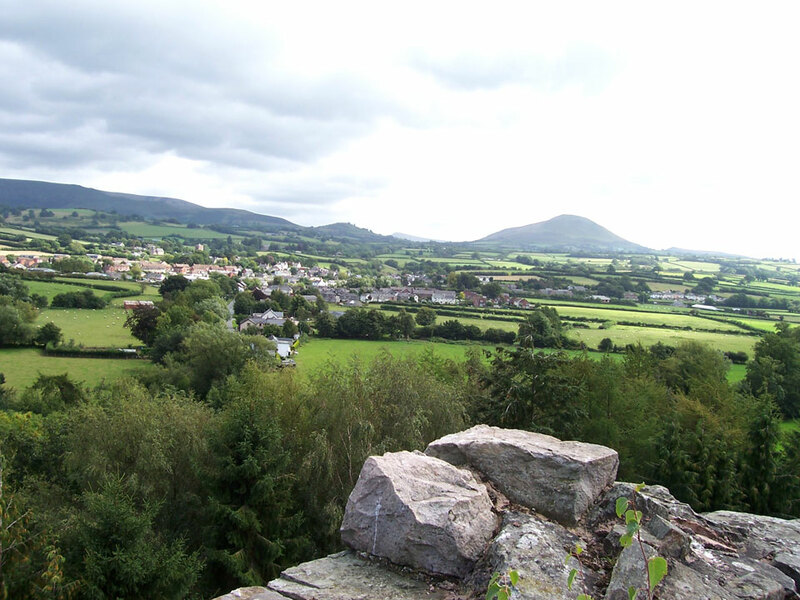 Cadw, open April - October.